Finding the perfect home can be a challenging task. But that should be the 2nd step. First you still need to present yourself as an attractive loan candidate and secure financing for your purchase. In order to avoid some of the biggest missteps when financing Real Estate, you should first know what they are. The first step before approaching any lender regarding financing is to check your credit reports. Any hard inquiry by a lender hits your credit score a little. So having it cleared up-front might get you into a better credit score bracket. There is a website giving you much information free and this is a good start to monitor your credit on an ongoing basis. The website is www.creditkarma.com. They make their money by sending you information about fitting credit cards and loans. So be prepared to receive some emails, but this site is legitimate and you don’t need to worry they steal your identity. Eventually use a separate email address for it to keep the emails separate when signing up. 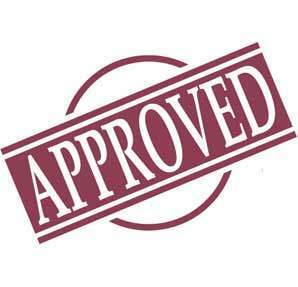 If you are specifically in the process of buying a home and need financing, review your credit reports for free. Our Government made it mandatory for the 3 credit bureaus (Experian, Equifax and Transunion) to make access to your credit file free of charge once a year. Just log on to www.annualcreditreport.com and check one bureau after the other. Some might try to sell you services, you don’t need that. Keep it free. Once in, check all entries. We often see outdated information which already should have been deleted or information which is inappropriate after e.g. a divorce. The dispute process is online and if you aren’t sure, we suggest disputing it. It’s usually just one click. Be prepared though. The dispute process takes up to 30 days and old / incorrect information should be cleared before making any credit application steps. You have to do that separately for each credit bureau. If you have been denied credit / financing within the last 60 days, you also have a right to get a report for free. Just send a letter to the bureau mentioned in your denial. In some cases you might also do this online. Just check the letter you received with your denial. In some areas like the Islands (Anna Maria Island, Longboat Key) Flood Insurance is a set requirement and you cannot get around it when having a mortgage. However, especially with older homes (called pre-firm), flood insurance will raise in the next decade. These homes currently have a credit in their flood risk rating. But thanks to Federal Government this credit will ease out over the next years and these older homes will be rated like new homes – however without benefits like elevated construction. This can double or triple the current Flood Insurance rates in 10 years. Just be prepared. Not having to deal with flood insurance or just having it just voluntarily outside the flood prone areas is always a good advice for the mainland. So a reasonable flood quote today can come back more costly in future. The worst thing you can do is ignore letters from your lender when you are behind on your payments. We suggest however never to discuss any financial matters on the phone when you received a call. Simply ask them to send everything in writing. Never confirm or deny confidential information on a call you received! Lenders have many options at their disposal to help keep borrowers from losing their homes to foreclosure, but they can’t do anything for you unless you show them proof about your difficulties. Failing to make your purchase contingent on a home inspection could be a costly mistake. Knowledgeable home inspectors examine houses from potential problems. They’ll be able to tell you whether the roof or basement leaks, whether the mechanical systems are in good shape and how long the appliances should last. It is a good starting point to get an overview. However use your own due diligence. Home Inspectors cannot look behind walls or find leaks not already there. So budgeting for smaller items is always a good idea. Bigger investments like roof or A/C should be budgeted by age. If those items last longer than expected, good for you. However, if it breaks, you don’t need to call it unforeseen and run into trouble. If you’re looking to switch jobs, wait until after you’ve closed the deal. We also suggest not applying for new financing during this process if possible. This includes credit cards and car loans increasing your debt ratio. Need more information regarding financing a home purchase? Contact us today!